The twelve signs of the Zodiac form a Birth chart. Each sign being an equal 30 degrees, and one sign following another. These are the signs of the zodiac upon which most of modern and ancient astrology is based. The sign Aries is the prime initiator in the zodiac, always jumping right in, starting things, daring to act and be making a positive statement or move. Aries sign have the ability to be a Pioneer, Leader, To Dare, Starter, Initiator, Impulsive, Spontaneous, Rash, Rude, Provocative Positive, Visible, and Egotistic. Key word: "I am". The sign Taurus receives or possesses, and thus is connected to "possessions” to money, goods, and property what have you. Responds to any action or impulse, building it into something actual or solid, and thus have the ability to respond. Taurus sign have the ability to Possesses, Responds, Acquires, Money, Property, Wealth, Fertile, Field, Stable and Determined. Key word: "I Have". The sign Gemini indicates communication, connections of all kinds, as well as relationships of short duration, for example conversations, emails, letters, etc. It rules short trips. Gemini sign have the ability to Connecting, Wires, Connections, Speech Communicating, Letters, Email, Phones, Conversations, Gossip, Mental, Ideas, Thoughts, Thinking, Study, Inquiry, Curious, Research, Science, and Searching. Key word: "I Communicate’’. The sign Cancer rules home and family, and all matters of feeling secure. Feeling is of key importance here, since this sign experiences and feels life deeply. Cancer sign is nurturing, Provider, Caregiver, Motherly, Security, Home, Family, Experiencing, Sensitivity, Feeling, Emotions and Shy. Key word: "I Feel"
The sign Leo rules awareness or knowing, a waking up to the experience of life and telling others about it being proud of it. Leo is all about creativity and self-expression, about getting things out. Leo sign is Expressive, Outgoing, Artistic, Theatrical, Warm, Hearted Children, Teacher, Prideful, Confident, Sports, Physical, and Aggressive. Key word: "I Know"
The sign Virgo is the caretaker of all people and things large and small whatever needs looking after, particularly anything having to do with health and wellbeing. Virgo always makes the best out of any situation, and insists on looking after the details. Virgo Conserving, Careful, Conservation, Self-Analytical, Precise, Details oriented, Thoughtful, Compassionate Caring, Concern, Worrisome, Fussing and Serving Others. Key word: "I Care’’. The sign Libra has to do with partnerships and with the public; it has to do with everything connected to leaving the single, the personal and the private behind and assuming a role that is much more social, becoming a public figure, for instance, or taking partner objectivity. Libra sign is Responsive, Responsible, Partners, Marriage, Social, Public Face Impersonal, Equality Based, and Fair. Key word: "I Do". The sign Scorpio is associated with all things sexual, all that is secretly private, but as equally with all matters of a business nature, such as the cutting through of complicating things, getting rid of excess and getting right down to the point. Scorpio sign is Intense, Passionate, Personal, Sexual, Fierce, Business, Cut to the Quick, focused, Removing, Obstacles, and Getting Rid of Excess. Key word: "I Cut Back". The sign Sagittarius has to do with truth and honesty and with the reduction of everything to what is essential and most lasting. Thus with spiritual matters and religious belief is the seed essence. Sagittarius sign is Direct, Sincere, Truthful,, Essence, Religion, Spirituality, Philosophy, Lasting Virtues, Fair, Equality Minded, and Even handedness. Key word: "I Save". The sign Capricorn indicates where we have a natural practical sense and can see to do, and thus its connection to vocation, that area of life we can manage and make work. 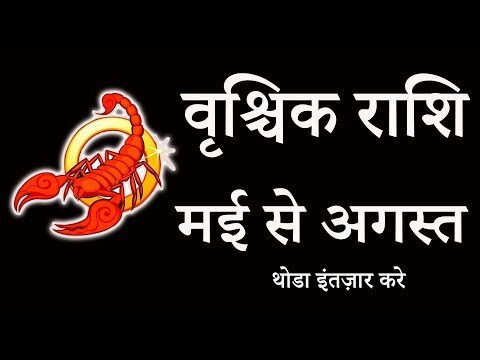 Capricorn sign is Practical, Sensible, Clear, Cool Headed, Appraising, Management, Overseeing, Executive, Business, Cool, Logical, Detailed, and Hard Working. Key word: "I Manage"
The sign Aquarius has to do with community and altruistic efforts, putting our own personal concerns aside and pitching in on projects and plans of a more public or global, working with others on a common goal. Aquarius sign is Community Minded, Altruistic Non Sectarian, Impartial, Group Work,, Future Minded, Planner, Worldview, unconventional and Independent. Key word: "I Plan"
The sign Pisces indicates those areas of life where we are most understanding; where we are most accepting and willing to give of ourselves; where we are willing to sacrifice for the sake of making progress. Pisces sign is Psychological, Deep, Understanding, Patience, Long Suffering, Self,- Sacrificing, Accepting, and Forgiving. Key word: "I Accept".